We’ve got another great Friday night game on our hands for Round 3 of the 2019 AFL season with Melbourne and Essendon set to do battle in front of thousands at the MCG. As usual, we’ve provided a comprehensive preview for the game as well as our best betting tips. Good luck to everyone following! 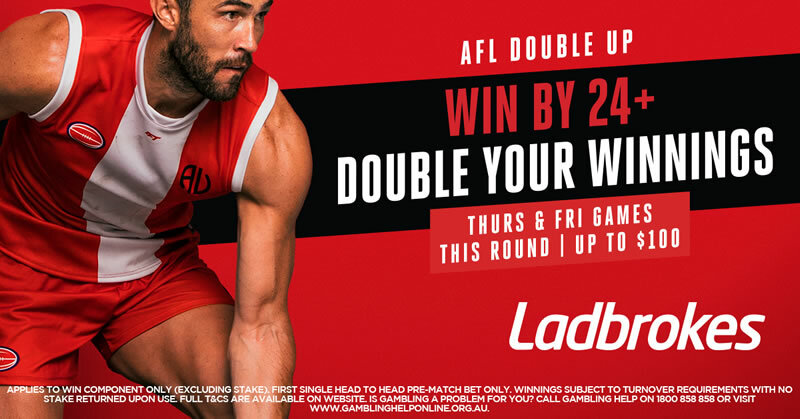 This article focuses on the Friday night fixture between the Melbourne Demons and the Essendon Bombers at 7:50pm AEDT, but if you want previews and tips for the rest of the Round 3 action, make sure you head to our AFL Tips Page. It really couldn’t have been a worse start to the 2019 season for both the Demons and the Bombers as they enter Round 3 at 0-2. Both will be desperate to open their accounts with a win, but only one will come out on top. Who will it be? After running out of legs in Round 1 against the Power when they went down by 26 points, the Demons did little to impress their faithful in Round 2 against the Cats. Instead of bouncing back with a gritty win, they were demolished by 80 points in a blood bath at GMHBA Stadium. In a time where negatives are all we seem to look at and/or talk about, we will say one positive; the Demons can play A LOT better than what they’ve dished up in the opening two weeks. Their roster had the most off-season surgeries of any club in the AFL, which is potentially the reason why they’ve been smashed in the second half of their matches thus far. Maybe now with a bit of game fitness under their belt the Demons will begin to find their 2018 form. The pre-season is always a time for experts to throw their two cents in and make bold predictions about who the ‘bolters’ may be in the upcoming season. Many of those so called ‘experts’ had the Bombers in their top eight, some even in their top 4. And while it may be a bit early to say those predictions are wrong, it sure as hell looks like it’s heading that way. Drawn a tough opening round fixture against the Giants in Sydney, we were prepared to forgive the Bombers and give them a chance to redeem themselves with a big win over the saints in Round 2. However, as we all know, that is far from what transpired. Again, they dished up a performance that lacked a recognisable game plan, lacked composure, and worst of all, lacked effort. For me, they’ve been the most disappointing side in 2018 thus far, although their upcoming opponents in the Demons are a very close second. It’s difficult to tell what sort of changes John Worsfold will make at this stage in the week. He didn’t swing the axe after their poor Round 1 performance, perhaps like us he thought the group deserved a chance to redeem themselves. However, third chances are hard to come by for underperforming players in such a cut throat league like the AFL, so maybe he will swing the axe this time around.